When Safari works well, it’s really an excellent browser, given all the integration features between macOS, OS X, and iOS. But when it doesn’t work it’s often a real pain to figure out and fix. Safari on macOS Mojave-Sierra and OS X El Capitan come with some pretty interesting features. Much like Chrome, now you pin tabs in Safari. You now also send YouTube videos to your TV via airplay without sharing the whole page. And Safari also lets mute tabs now. With all these new and fantastic features, it’s really disheartening when users are not able to use them! We like Safari new features and want to make sure that you can use them as well. 4 Safari Slow after macOS Mojave Upgrade? 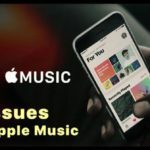 10 Safari Not Working After iTunes Update? Seeing Error Message that Safari Won’t Load Because of a Problem? 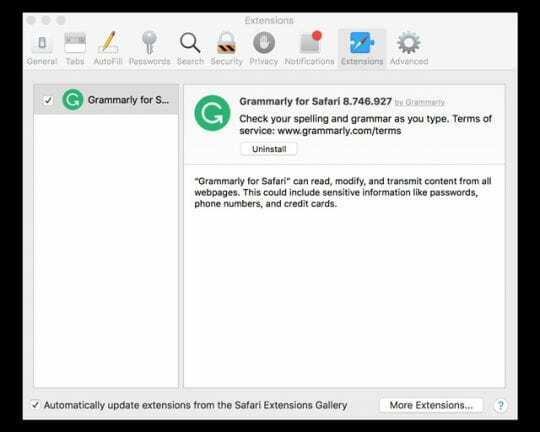 Recently, AppleToolBox’s received numerous emails from our readers who upgraded their macOS and are now experiencing Safari related problems. Safari Problems are unfortunately related to numerous issues and are not the easiest to spot and solve. 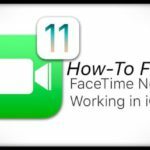 Consequently, this troubleshooting guide works through various aspects of your Mac system in an attempt to resolve common and not-so-common Safari issues. Options provided in this article are ordered from the least invasive to most invasive approaches. It doesn’t matter how you do it, just make sure you back up your Mac before performing any troubleshooting. 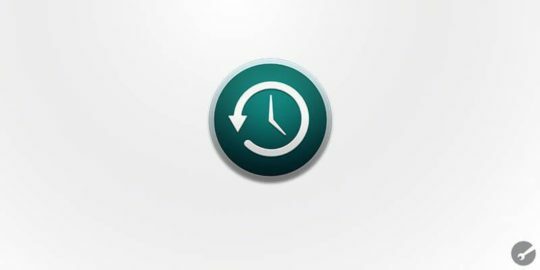 Use Time Machine for ease within Apple’s recommended workflow. Or choose your backup method. Whatever the method, perform a backup before you move to the next steps. Safari Slow after macOS Mojave Upgrade? Many users have noticed that Safari performance is terribly slow after upgrading to macOS Mojave. Apple had made multiple changes when it comes to Safari Extensions and Mojave. This is one of the reasons why many users are experiencing sluggishness and other issues with their Safari. Users have reported that Ublock Origin, which can be downloaded by Apple Store and applied as a Safari extension is a better performing blocker for Safari on macOS Mojave. Safari disables extensions that are not downloaded from the app store with the latest macOS Mojave update. 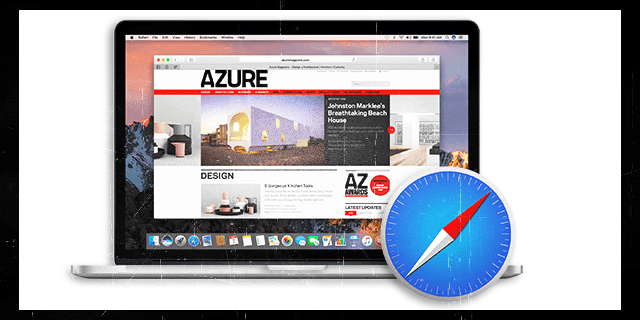 We recommend trying Safari without any ad-blockers including Ublock and checking the performance. Restart Safari. Sometimes restarting the application resolves the issue and can improve application speed. If Safari starts but is unresponsive, you will have to Force Quit it. If Restarting Safari did not solve your problem, the next step is to make sure that your user-specific resource files are in good shape. A corrupt user resource file can create Safari Problems. 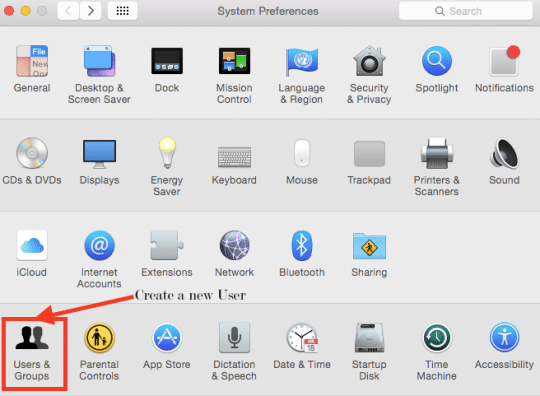 To rule out the possibility of a corrupt resource file, create a new user on your Mac. You can delete it after the troubleshooting exercise. For more information on corrupt user accounts and how to deal with them, see this article. In this step, we attempt to delete all Cache files related to Safari. While at it, we will examine any browser extension files and remove them as well. In prior OS X upgrades, we have noticed that browser extensions can become a major headache for safari. One plug-in or extension that does not behave well with the new OS X can bring down the entire web browser. 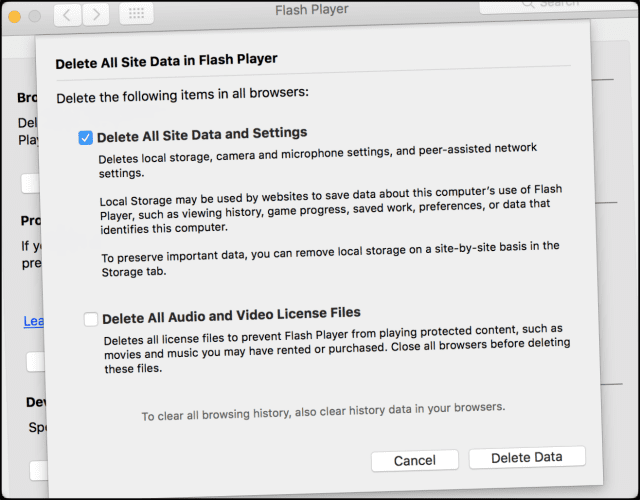 Go to System Preferences >Flash Player > Advanced > Delete All > Check the Box for Delete All Site Data and Settings and select Delete Data button at the bottom of the window. We give you two options for completing this step, using two different ways. The first path described below is for users who can get Safari Launched, but then it crashes shortly. In the Second path, we will continue with ways to get it to launch successfully. The second path is targeted at users who cannot even open their Safari browser to get to the settings. Open Safari. 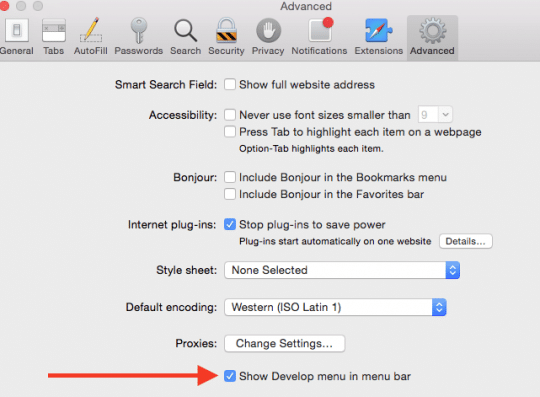 Click on Safari > Preferences > Advanced and enable the Develop menu. It is entirely possible that Safari doesn’t give you enough time to do any of the steps above and crashes before you can take care of the above. If you are experiencing this symptom, proceed to Path 2. If your Safari is stable up to now, quit and restart to test the application. 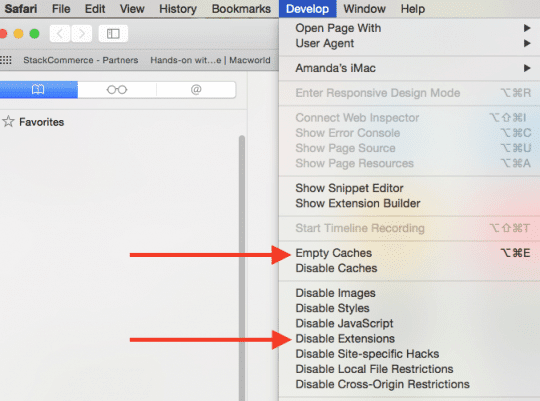 Now that you have tackled the Extension files and the Cache files, go ahead and give it a try with Safari. If your extensions were the culprit, this should pretty much resolve your issues. If it works, it means that one of your extensions/plugins is causing the issue. The only way to find out the one is to enable one extension at a time till you find the culprit. It is painful, but we don’t know another way to tackle this issue. We hope that you don’t have to read this step, but oh well, let’s try one more step before you have to read and analyze the diagnostic reports using the console application. Our thinking around this step is that there is a chance that your preferences file for Safari is somehow corrupted. This step will remove the corrupt files. Please note that this is pretty safe and will not cause any problems on your Mac. “killall cfprefsd” in Terminal which flushes all settings to plists and relaunches the cfprefsd agent. All apps trying to access cfprefs during this time are blocked. A new csfprefsd process will immediately launch, and it can happen so fast that you may not notice it. Open your Terminal Application and enter the following command to make your Library folder visible. Drag the file to your desktop. You lose your Safari Settings, but the system creates a new Preference file when Safari is started. Additionally, it’s best to rename the file and save it so that you can put it back once you are done with these steps. Just add a suffix like “.crpt” (corrupt) for now. If you still have problems with launching Safari or Safari crashing, please contact or set-up an appointment with an Apple Genius or Support. We hope that you don’t have any hardware problems such as a failing boot drive. 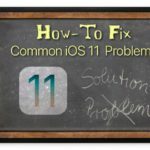 You can run the Apple Hardware Test, which is a special utility just to make sure that your hardware is not failing before you go to the Apple Support. In our experience, third party extensions and plugins are often responsible for sluggishness in your Safari experiences; here are a few general tips that you can check. If you can get the Safari up and running, but experiencing general sluggishness, the chances are that the machine might be infected with some adware. You can use a free adware removal tool like www.Adwaremedic.com/index.php. Install the tool, open and run it by clicking “Scan for Adware” button to remove any adware. Once done, quit the app and try running Safari again. Speaking of free Apps, another good app to explore and evaluate is “MacClean.” You can use the app to enable, stop or remove Safari plugins very easily. It also helps you clean up junk files as well. Sometimes, the problem might reside in your DNS settings. One symptom of this issue is that your Safari starts on macOS (any version) or Mc OX S El Capitan, but when you type in any URL, you will see a very slow Safari. Also, try to disable DNS prefetching to see if that helps to speed things up. If you see the error “operation not permitted” when using Terminal, see this troubleshooting article to grant Terminal Full Disk Access. 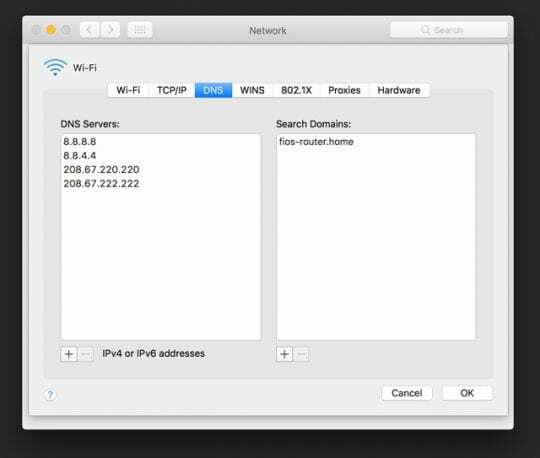 For more information on how non-responsive DNS servers or invalid DNS configurations can cause a long delay before web pages load, see this Apple knowledge base. Close the Safari App. Then look in the user folder ~/Library/Safari and isolate any files that start with “History” in those folders to your desktop. 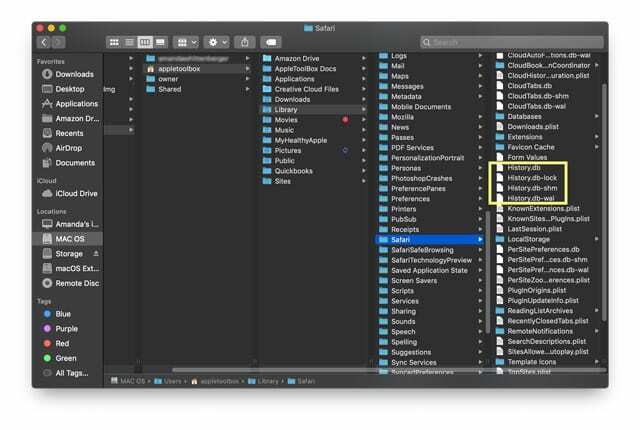 If you cannot see your user library, please check out this article for a step-by-step guide to show your Mac’s User Library. Once you have moved the files to your desktop, please start your Safari and check. If none of the above steps work for you, try starting Safari in Safe mode. Enter Safe Mode by restarting your Mac and pressing the Shift key when restarting. 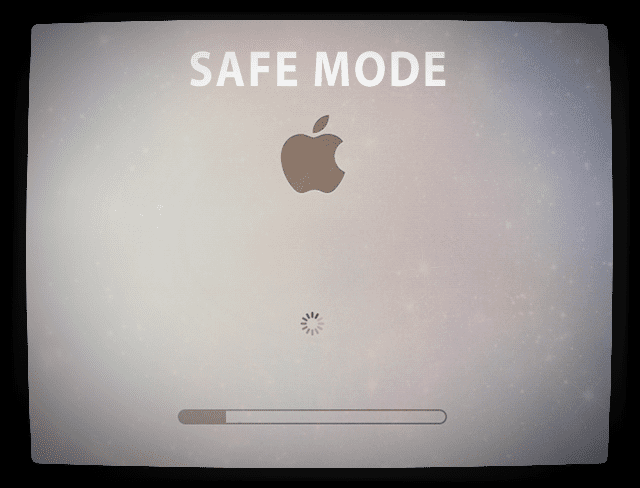 Safe mode prevents your Mac from running any third party programs and extensions that you installed in the past. 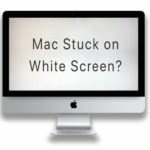 If it works well in safe mode, consider running a diagnostic tool like EtreCheck, a free tool that explains what is going on inside your Macintosh. 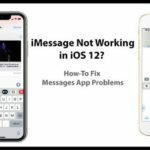 Lastly, over the years, we have tried to evaluate Safari related problems and created an index of Safari troubleshooting tips for both iOS and OSX that will be a helpful reference for you. Safari Not Working After iTunes Update? Seeing Error Message that Safari Won’t Load Because of a Problem? Some folks report problems with Safari after updating to a newer version of iTunes. People running Mac OS X versions like Yosemite seem to be most impacted by this error. Before you troubleshoot, make sure you try again to update iTunes. Some readers report that they needed to update iTunes a few times before everything worked again! Make sure you restart your Mac after any update–even if it automatically restarted. Performing a final restart appears critical to getting Safari (and iPhoto) to work normally. We’re not experiencing this issue ourselves, so we are unable to verify. 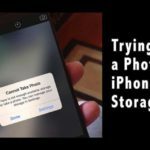 You may not be able to do local backups of iDevices with iTunes after deleting, moving, or renaming MobileDevice files or folders. Are You Backing Up Your Mac? from your backup and replace the current file with this backup version. Make sure the back up is from a time BEFORE your Mac updated iTunes. If you don’t back up (and yes, this is something you really should do), you could also copy that same file from a Mac that uses the same operating system and doesn’t have this issue. Or Just Update Your OS! Another workaround, if you don’t want to mess with those files, is to update your macOS or OS X to a later version—this appears to solve this particular issue. Folks who had this issue and updated to El Capitan or macOS (any version) found that it instantly disappeared after the macOS/OS X upgrade. Often older and legacy programs or extensions that were written for 32 Bit mode cause problems, especially for macOS High Sierra and above. Starting with High Sierra, apps do not use 64-bit processes show an alert when opened. Apple intends to make 32-apps incompatible with macOS in the future. From the Apple menu, choose About This Mac, then click the System Report button. Scroll down to Software in the sidebar and select Applications. Look at the individual application and locate the field titled 64-bit (Intel). “Yes” indicates 64-bit; “No” indicates 32-bit. If you’re using macOS Mojave, select Legacy Software in the sidebar to see all applications that have not been updated to use 64-bit processes. So take a look at Apple’s list of compatible applications for your macOS or Mac OS X version just to make sure you are running the most compatible software for your Mac. We heard from one of our readers who said that every time he opened safari, it would always open the last page from his prior session and he wanted a way out of it. This is easily managed in your settings. Go To Safari > Preferences> General and make sure to check the drop-down box ‘Safari opens with’ to make sure it isn’t set to ‘All Windows from the last session”. Some users have noticed a funny looking Youtube page when they open it in Safari. Unfortunately, this happens when you have ad-blocking software running. Disable AdBlock plus or other ad blocking software programs that you run, and you should be able to see YouTube in its former glory! We wish you luck, as Safari is one of the hardest Apps to troubleshoot. Please keep us informed via your comments and let us know if you are experiencing any other issues related to your macOS and other OS upgrades. Do you mean you have multiple windows of Safari? Or is Safari shifting all the content in a single window? Are you using an iPad? If you see multiple instances of Safari, tap and hold on the tab button at the bottom of one of the windows (looks like a stack of files.) From the menu options, choose Merge All Tabs. If that doesn’t help, try closing Safari by double pressing home and swiping the Safari App Preview off the top of your screen. Then restart the iPad and try using Safari again. See if that makes a difference. Had a friend with Yosemite and all of a sudden he had the problem and the alert “Safari will not load because of a problem. Check with the developer to make sure Safari works with this version of OS X. You may have to reinstall the application. Be sure to install any updates to the application and OS X”. He did 2 or 3 iTunes updates in the App Store on his machine. While I was searching for infos with that error as a search string, found this useful and cool article ;-), he did one more final update (they all had the same date, Dec 14), restarted and every thing worked fine again. Don’t know if it may apply to others but I think it’s not worth messing with the machine searching for Safari problems without checking if iTunes is updated (I mean in this particular case). My safari will not start up. The problem report says “Check with the developer to make sure Safari works with this version of OSX. You may need to reinstall the application. Please send me info on how to fix this. Open a Finder window and along the top menu choose Go. Next select System and then choose Library. Relaunch Safari and see if it works! Thank you so much! Deleting MobileDevice.Frameworks worked beautifully! I was struggling all day yesterday, and I thought I’d need to reinstall the OS. This morning I found followed your clear instructions – and BINGO! Thank you so much, after spending 4 hours trying to figure out what happened I came upon your suggestions and it was fixed in 10 minutes. I had the message where Safari would not open because of a problem, I found the file you mentioned deleted it into trash and restarted my Mac and it worked perfectly. Your directions are thourgh and easy to understand as well, so happy! Yes! Same here. Thanks so much!! Hi there, got the Safari problem after the iTunes was updated yesterday Dec 14. Tried a couple of your suggestions, but sorry haven’t got a back up to copy the ‘mobile’ file across. So please could you let us know once you have another/ hopefully easy fix. Apple released 12.8.1 and has since withdrawn it. At this point, Apple is preventing the update to iTunes 12.8.1 from showing up on Mac’s using Yosemite. and then relaunch Safari and see if it works. 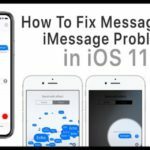 Otherwise, use another browser (like Chrome or Firefox) while Apple sorts out the bug and contact Apple Support and let them know your Mac has this issue. Safari suddenly stopped working today, shortly after the iTunes update, hmmm. Dyld error message says a library was not loaded because the image was not found. How can I fix it? There are a lot of user reports of this issue with the latest update. We don’t have a fix or workaround yet sadly. Once we know more, we’ll reach out again. We’re not experiencing this issue ourselves so we are unable to verify. If you don’t backup (okay, you really should) you could also copy that same file from a Mac that uses the same operating system and doesn’t have this issue. Yes! The suggestion to delete the MobileDevice.framework file worked brilliantly. Running Yosemite on an early 2009 Mac Pro, Safari wouldn’t launch after installing the iTunes update yesterday. Thank you!! A few readers confirm that updating their macOS or OS X to a later version (like Yosemite to El Capitan) also fixes this issue—with no need to delete any files! After Mojave update installation today, when I go to Pages and ask it to create a new blank file, it will not create any new file. I tried going to Pages Preferences to force it to choose Blank as the default, but that doesn’t work either. Many of my old files won’t open either. If I can’t fix and need to go back to old OS, please tell me how…?? Carol, Here is a guide that shows you how to downgrade from macOS Mojave. Using iMac late 2013 with Sierra. Computer was getting sluggish so restarted. I use Firefox, Chrome, Safari, and Opera. All but Safari open. Numbers reopened with the restart but is unresponsive. Force quit and reopened and it works now. So I guess it’s only Safari that doesn’t open. Thanks loads, you fixed mine. There would load and reload over and over until I closed it. Not sure which since I did both when started clearing user files. Finding this post of yours was a God send. That’s awesome Dave. Glad it helped and a big thank you for letting us know. I can only seem to access safari on my Apple Mac through iPhone ‘handoff’ connection. 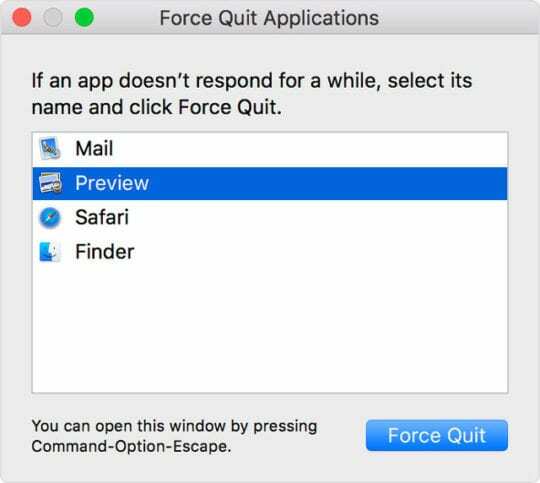 Opening straight from Apple Mac comes up with ‘safari quit unexpectedly’ ? I can’t thank you enough. I have been unable to use Safari for over a year and half. By deleting the “cfprefsd corrupt file (I had no extensions), it fixed it for me. Thank you so much. Hello. Thanks for your site. There’s a lot of good stuff here! I can’t find anything about my problem though: I’m running Sierra 10.12.6 and Safari 10.1.12/ I want to disable Safari Suggestions but when I uncheck the box in the Search tab and close the Preferences panel, it re-checks itself every time, immediately. Thanks John. Works on my end. Let us do some more testing on the Safari Suggestion feature and we will update the post if we can find anything that stands out. We appreciate your feedback. One thing just came to mind. Are you syncing Safari with iCloud? To check go to System Preferences > iCloud and see if Safari is ticked. If so, untick it. This may solve the problem. 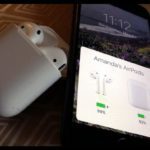 It also means that your Safari session data will no longer sync between your Mac and any other iCloud connected devices. Alternatively, try turning OFF Safari Suggestions on your iCloud connected devices–go to Settings > Safari > and toggle off Safari Suggestions. And while you at it, turn off anything else you don’t want iCloud to sync in Safari between devices. Let us know if this works for you. Best practice is after changing these settings, restart your devices, including your Mac. Hope it sticks this time! Safari 11 does not show full picture when clicking on thumbnail or smaller picture to get to the larger one, it only shows a small fragment, what might be causing this to occur? Can you provide more details on your system? I put the file back after I restart the computer? Safari works in Guest User Acnt but can’t get it running again in my user account. It’s been 3 yrs now since I could last use Safari. I attempt to fix every now and then but end up giving up after going around in circles trying to find out what the problem is. Deleted caches, history, prefs, cookies I’m sure if I could get it to boot up, a reset would fix. The APP is obviously ok on the root drive because any new user can create a path but it’s corrupt in my user account and I may have to resort to creating a new user account and starting over again. What a PITA. Having major issues with copy/paste from Safari 10.1 into Excel for Mac 2011. Worked fine until a recent update, now when I paste into cells all formatting changes. I want to revert from 10.1 to Safari 9.x. Is there any way to do this, or resolve the issue of copy/paste from Safari? Sorry to hear you are having troubles with Safari 10.1 and Excel! Unfortunately, Apple does not allow downgrading of Safari. The only official way to get back older versions is to perform a restore of your entire Mac from an older backup that contains Safari 9. Another but unofficial option is to try an extracting program like Pacifist and similar, extracting Safari 9 from an older Mac OS X .pkg file. I would sooo like to delete those history files if I could just find them. Please be more specific MW or SK on where they are located in Sierra. It would be a life saver. I’m ready to go to Firefox or Chrome. First, make sure you see the folder Library in your user folder. If you don’t, select open your user folder (so you see its contents–the folders for Applications, Downloads, and so forth) then navigate to the Finder menu bar and choose View > View Options. At the bottom of that window check the box Show Library Folder. Close Safari if it’s open. Now that you access your Library files, return to the Finder Menu Bar and Select Go > Go to Folder. In the search bar, type in ~/Library/Safari. Next, restart Safari and check if anything shows up in history–it shouldn’t. It should start rebuilding now. SIERRA SAFARI FINALLY FIXED!!! Tip 3 stopped the incessant beachball, the run away Safari processes, and my Macbook Pro finally stopped overheating and burning itself to the ground! After a reinstall of Sierra, trying every possible combination of Safari Developer list fixes and assorted other items, this finally worked. I initially suspected a problem with Safari History because I was able to delete daily and weekly history but not All History. 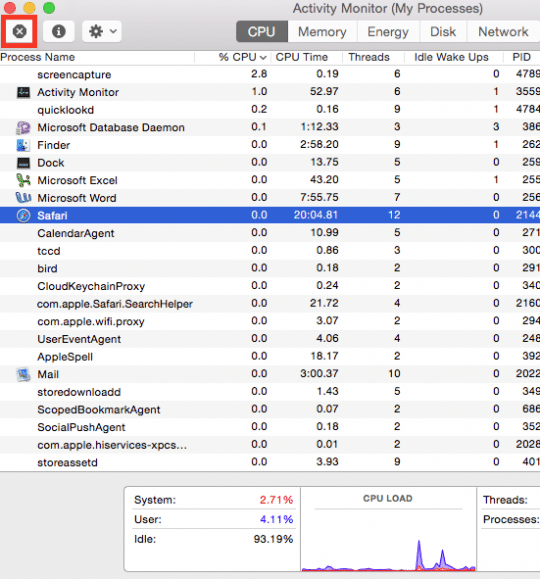 If I tried, Activity Monitor showed Safari processes immediately ballooning and getting out of control. Even after Safari was started, the beachball appeared forever and all bets were off for normally shutting down or using Safari normally. After moving the history associated files to the desktop I could finally quit Safari normally, start it normally and maintain stability. Thanks!!! Thank you for sharing your Safari story with us–AND that it’s fixed!!! Glad things are back in business for you. I don’t have this file. Tried restarting still not there. this is tooooo much to try and fix………..how to uninstall el capitan but keep safari 9 latest?